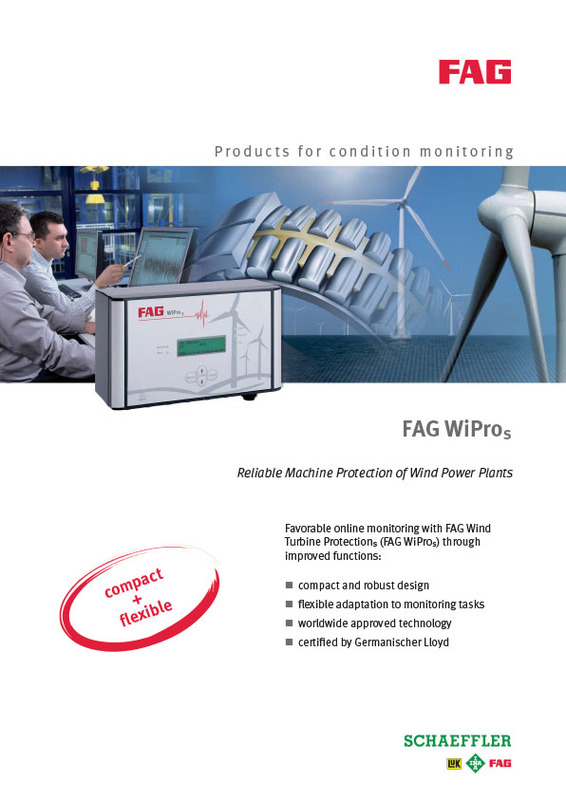 The FAG WiPro s enables online monitoring of wind farms ─ both onshore and offshore. 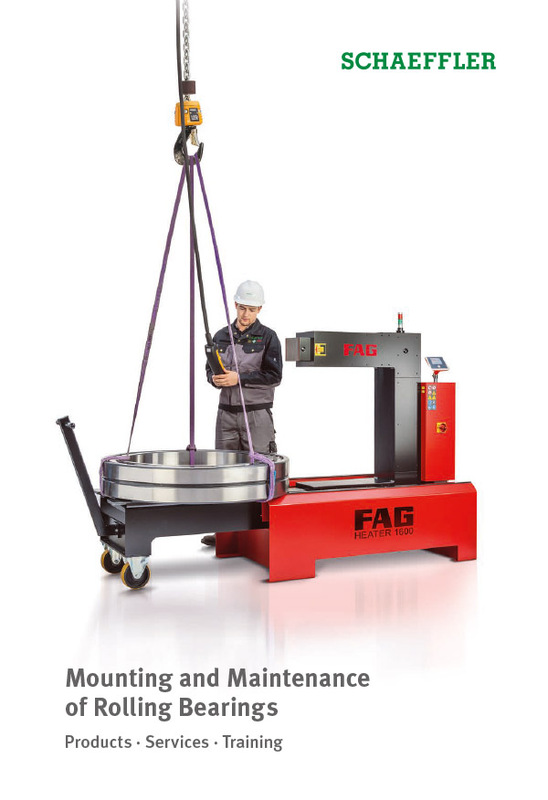 The system provides early and reliable detection of possible machine damage. This helps to prevent unplanned downtime and expensive secondary damage. Due to its small size, it can easily be accommodated in small spaces such as the nacelle of a wind turbine. 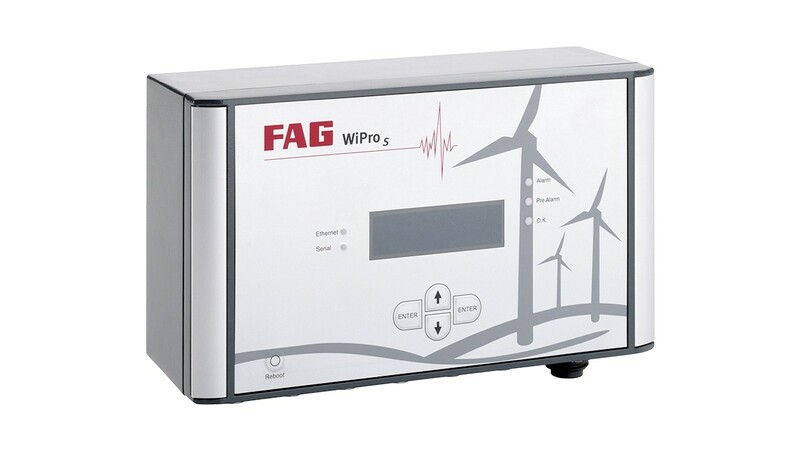 The FAG WiPro s is equipped with a signal processor and evaluates all measurement signals internally. Due to the intelligent linking of expert knowledge with information from the turbine, it is possible to keep the transferred data volume very small. 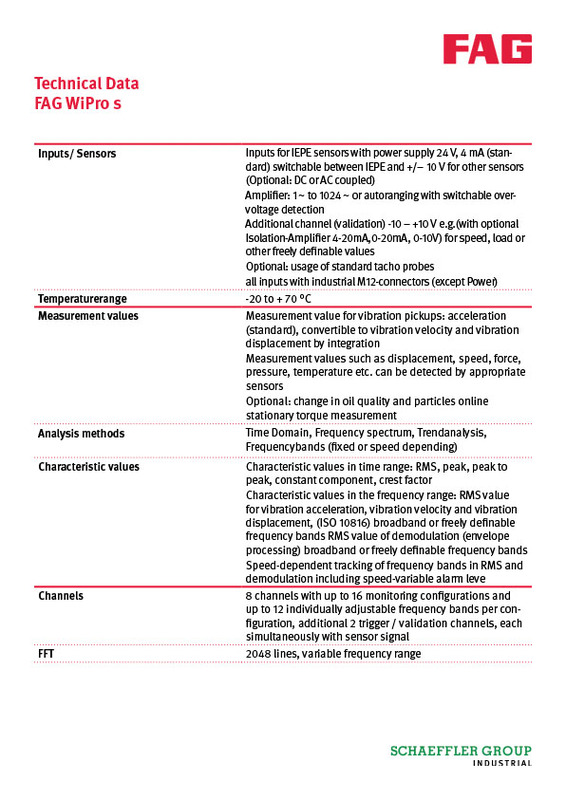 This is particularly important where a large number of turbines must be continuously monitored over an extended period. Any wind farm can be networked using the system ─ whether the turbines are connected using copper cables, fiber optics, ISDN or analog lines, or even if no telephone connection at all is present. The system is certified by Germanischer Lloyd. The automatic messaging function by means of TCP/IP, WiFi modem (optional), landline modem or DSL router enables efficient worldwide monitoring. The data can be transferred to other locations by remote access and analyzed there by the Schaeffler vibration experts, for example.